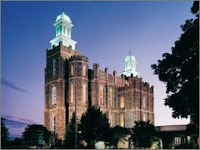 Come see our beautiful historic pictures of the Logan Temple and Utah State -- Old Main. They were donated by Dan Douglas and hung by the Griffin brothers. We would like to thank Dan for this great gift.